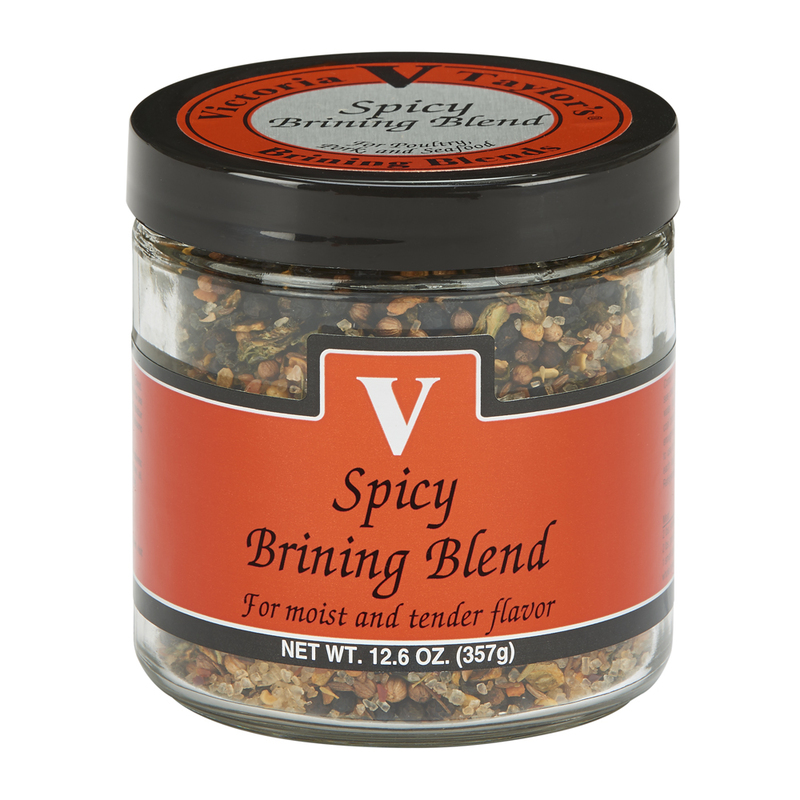 The Spicy Brining Blend combines the pungent notes of whole black peppercorns with the sharp spice of jalapenos, the smoky warmth of cumin accented and the subtle addition of garlic and coriander to bring a comforting warmth to your recipes. This is a versatile blend that works with everything from shrimp to pork. Try Victoria's Spicy Deli Pickles for a kicked-up addition to your favorite sandwich. Ingredients: California sea salt, demerara sugar, mixed spices (coriander, black pepper, red pepper, cumin, thyme), garlic, jalapeno pepper, red pepper oil.